Solar Thermal technology comes in many shapes and sizes and is used in a wide variety of residential and commercial applications. Commonly seen types of solar thermal systems are: Domestic Hot Water systems (DHW), Swimming Pool/Hot Tub-Heating Systems, and Space Heating Systems (radiant). Solar water heating systems work seamlessly with your equipment and is fully automated. You set the desired water temperature on the solar control, and when solar energy is available at the solar collectors an automatic motorized valve diverts the water through the solar collectors and carries the sun's heat to you. This process is continued until either the temperature cools down at the end of the day or the desired water temperature has been reached. In most cases, the existing pump can easily provide adequate flow to the solar panels. The only requirement is that the pump needs to be operated when the sun is up, (roughly 10:00 AM to 5:00 PM). Set your desired water temperature and a sensor determines when the system turns on and starts heating water. Your pool pump sends cold water from the pool through a series of channels in the solar collectors. The solar collectors use the sun’s energy to heat to the cold water as it moves through the panels, returning the water to the pool with a significant temperature gain. Luxuriously warm, solar-heated water flows back into your pool until it’s reached the desired temperature. 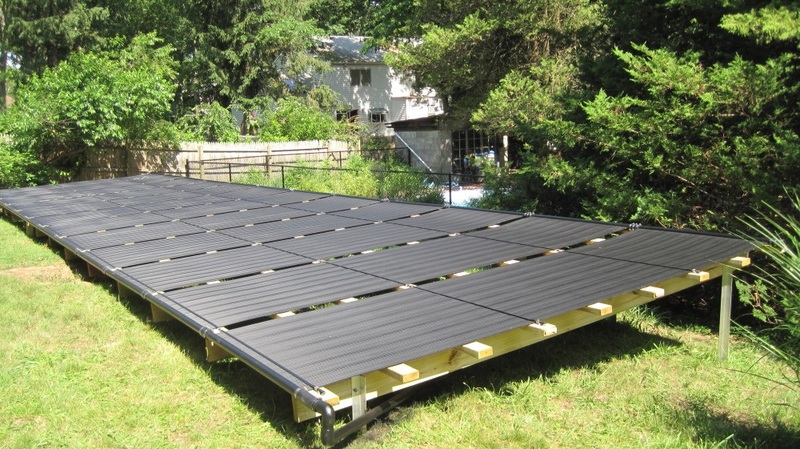 Solar thermal collectors (panels) installed on a roof, in the yard, or another location absorb solar energy. The solar energy heats water circulated through the collectors by a low-energy pump and delivers heat to a water storage tank. 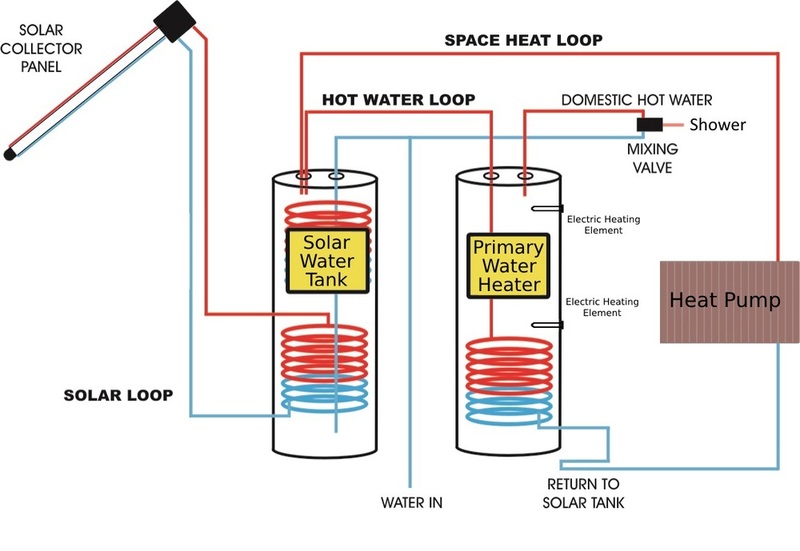 When users need hot water, the solar-heated water in the storage tank pre-feeds the primary water-heating system. When pre-fed with solar-heated water, the electric water heater either does not need to be activated or needs only to be activated for a short time. Each month, owners of theses systems pay a much lower bill for energy to heat water.